Hi there Perfume Posse! Portia from AustralianPerfumeJunkie. Thomas is sick still and his nose is TOTALLY gone for the moment. GET WELL BUDDY! I thought it might be fun to do a St Valentine’s Day GIVEAWAY and what better way to celebrate than with some fragrant time choosing yourself some samples from Surrender To Chance. What would I get? I’d like to spend some skin time with the new Serge Lutens, yesterday I talkede about the Sample set of Caron Urn Parfums and a couple of vintage loves I’d like to get my sniff on like Deneuve. 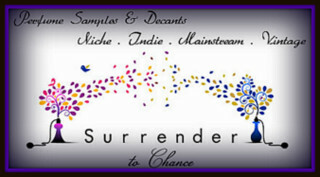 Tell me what is the first fragrance you’d like to buy a sample of from Surrender To Chance if you win. Entries Close Sunday 15th February 2015 10pm Australian EST and winners will be announced in a separate post. The winner will have till Wednesday 18th February 2015 to get in touch (portia underscore turbo at yahoo dot com dot au) with their email address. 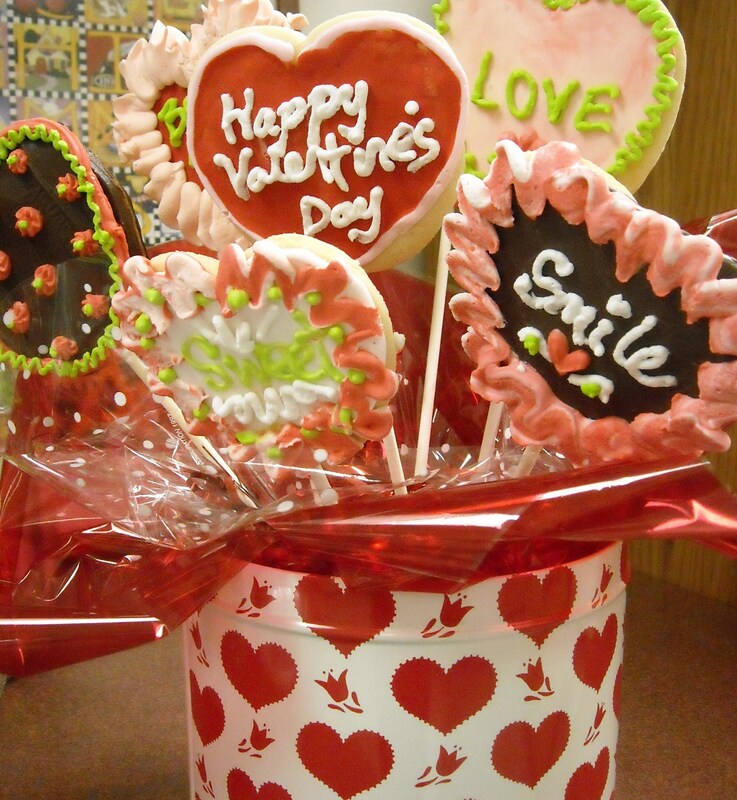 Previous Article← St Valentine’s Gifts for YOURSELF! I have my eye on vintage Dioressence. Thanks for the draw and Happy Valentine’s Day! Oooo, that’s a difficult question! The story behind Serge Luten’s L’Orpheline struck a chord with me, so that would be the one. Guerlain Nahema, I think. Or Bois d’Armenie. Maybe Caron En Avion…. Poor Tom. Despite the fact that in person he bears a distinct resemblance to the only boss who ever fired me, I hope he will recover soon. I’m wishing everyone good health and something better than chalky candy hearts for Valentine’s Day. I can’t help but giggle at your comment about Tom’s resemblance to your ex-boss 🙂 Nonetheless, I hope he gets better soon too! So hard to choose! I think I’d try DSH Cafe Noir first. I think I’d wait a bit, until Kerosene’s new Unforsaken is available, and then buy a small decant! I would use this chance to explore as much of the MFK line as I could. Famine Pluriel sounds dreamy. Would you believe, Deneuve is at the top of my list, too! I think something by Pappillon – as I am on a train I can’t get to specific names. Maybe L’Orpheline. I’d like to try the new Lutens, or better yet, wait fir the new Guerlain wedding fragrance. I keep a wishlist on Surrender to Chance and checked it out. Guerlain Fol Arome Vintage Pure Parfum beat out JAR Jardenia, but just barely. Alahine or a set of samples, either frederic malle, tauer or amouage! I’m dying to try this legendary JAR Ferme Tex Yeux. I would love to try Dior Oud Ispahan! Oh goodness…. Where do I start?! Wow what an extremely wonderful give away! I would get either starter kit from an older house like Caron-yeses! Or from Lutens since I’ve not tried any of his?…or maybe just a couple of big ole 15 ml samples of something I really really want like Parfum Sacre, Theorena, du Dragon, if they have it. I need to get back over there and refresh my list 🙂 Thsnk you so much!! I feel very unoriginal now but it would be the latest Lutens, because I love his oeuvre but I feel as if he’s produced more misses than hits in recent years, and I would like to know if he’s still got it. I’d love to try some of the harder to find Serge Lutens perfumes and perhaps the Vero Profumo perfumes I haven’t tried yet. A giveaway! How thoughtful! My first choice would have to be a healthy decant of Mon Parfum Cheri. Richard Lüscher Britos Terroir Perfumes 14°S 48°E by Vero Kern. I want to try this one badly. Definitely a revisit to Tauer Lone Star Memories to start. thanks! Oh that’s a hard one. I just started wearing Chanel 19 (used to be my signature) again and loving it. I love so many that I would probably use that to sample various scents to keep expanding. Love to adventure!! I would buy a selection of vintage Guerlains, including Mitsouko pure perfume. PLus a sample of Rochas Bizance and L’arte de Gucci. Ooh nice giveaway! I don’t know – something vintage like jolie madane parfum. Oh wait- i’d get a bit of Roja Parfums nuwa or Diaghilev. What a wonderful giveaway. I would get a sample of Joy pure parfum and any version of my beloved Chanel Cristalle edp. Started my list of samples to buy next a few days ago. At the top of that list is Rubj. Thanks for the drawing! I want to explore the Etat Libre d’Orange line and I’ve been wanting a decant of Commes des Garcons Black for awhile now, maybe a decant of Kerosene Whips and Roses? Thanks for the chance, and hope you feel better soon, Tom! I think I would first of all try Ginestet Botrytis, or Rubj by Vero Kern possibly . Lately I have had little luck with the samples I have ordered, so in fact I am now saving up for some FBs or travel sprays rather than testing new scents. Thank you for the giveaway! I would love to update my nose on the Andy Tauer fragrances. Definitely Surrender to Chance surrender and Chanel coromandel!! Thanks for the draw! Gotta agree with Portia about Deneuve, plus La Religieuse…thanks for the draw, STC! That’s a hard one, so many choices! Maybe Or du Serail. Tom Ford Ombre de Hyacinth (Jardin Noir Series) or something from some American artisan perfumer who does not have international shipping (as Sonoma Scent Studio Champagne de Bois). Apoteker Tepe The Rharian Field (I do have a list going, but that one is the most intriguing) 🙂 Thanks for the chance to win! There are a few of the Foja Dove perfumes I would like to try – can’t pick just one! Tom Ford Noir de Noir. In fact, I’d like to explore the entire Private Blend line. I have been longing to try more Amouage, so probably Fate or Journey Woman. I’d hold it till Chanel Misia is in! Thanks Portia! I always keep a wish list going there but they just got Debaser and, even though the notes don’t sing to me, I’ve gotta try it. I’ve GOT to try this as well, thanks for bringing it up, I had no idea that this existed!! I’ve been so busy I guess I haven’t been keeping up. Debaser is one of my favorite songs ever and it sounds amazing to me. Win or not, I’m getting some. McEvoy`s Blackberry Vanilla Musk – can you believe we`ve not tried this?? lol!! OR a vanilla sampler…Thank you!! I would get some Liz Zorn Violets and Rainwater…Musette reminded me of it with her post the other day and now I’m obsessing over it a little! I had a sample of it a long time ago but it’s diappeared and I can’t remember if I liked it espcially or not, but I love the smell of some dirt with my flowers. Also, maybe something Amouage, since I’ve never smelled anything, but hear so much about it. Happy Valentine’s Day everyone!! Hmm. I love these giveaways because even though I never win, it’s fun to dream. I guess I’d first go for Mito, because it’s the only Vero Kern I haven’t tried yet, and I love her work. Oh goodness – there’s so many I want, but the first would probably be a sample of Cuir d’Ange. Yes, I’ve been lusting after that one BIG TIME. 🙂 Thanks for the sweet giveaway! So many to choose from, but I’d love to smell Amouage Journey. I’m not sure it’s even been released yet, but I want to try Chanel Misia. I’d like to try Oud Ispahan or a vintage Dior perfume I haven’t smelt like Diorling or Dior-Dior. I would spend that chunk of change on some Bryedo and/or some Mona Di Orio. Happy Valentines Weekend! I’d love to try Black Jade by Lubin! Hermes Heressence Ambre Narguile….I have sampled this once and need some MORE lovin’! CB I hate perfume: narcissus absolute. impossible to buy in the UK, as far as I can see. Aedes de Venustas Copal Azur! Ahh, definitely Comme des Garcons series 3, Kyoto. Not sure what I’d pick . Probably would have to make a list and do a drawing to figure out what. Tauer,Amouage,Guerlain, Lutens.or Chanel Exclusives are top contenders maybe Jo Malone or L’Artisan? It’s tough being a fragrance omnivore. Hope Thomas and Patty get well soon! I’d get samples of a few Chanel and Guerlain extraits. Never tried any, and I think the time has come. Oh, and I’d also try the new STC perfumes! I love jasmine, and those two sound great, especially the skanky one. Vintage Guerlains, such as Jicky Parfum, Mitsouko, etc. The first thing I would buy is Mamluk, by Xergoff. Am I spelling tha right? I had a tiny sample and must. Have. More. Also, on someone else’s dime, I would probably get some Djedi. I would explore the vintage Guerlains and Roja Dove, which have been in and out of my cart several times! I would order a sample of Chanel Misia if it were available. If not, I would probably try LeLabo Vanille 44. Happy Valentines Day! I’d love to try the new Etat LIbre D’Orange True Lust, or just wait a bit for the new Chanel Misia which I’m sure they’ll be carrying. thanks for draw! Oh, it’s wonderful to dream… Vero Kirn Rozy, Tango Masque Milano, 33 Idolo, and maybe Mohur by Neela Vermeire. I’m greedy, huh? A big-azz (well, as big as 50 clams will get me) decant of the magnificent alien Iris Silver Mist. So hard to choose – probably an older fragrance I haven’t had the chance to try yet. I’m thinking either L’Artisan’s Tea For Two or Chanel’s Bois des Isles. Thanks, Portia! Thanks for the opportunity, Portia! My set of Hermessences was stolen from my checked suitcase on my last business trip :-/ I am dearly missing my Amber Narguile, Osmanthe Yunnan, Iris Ukiyoe, and Santal Massoia, so if by some great stroke of luck I won your generous drawing, I would probably get spray decants of two of these to tide me over until I can afford to visit the Hermes website and replace them. And if I don’t win, I’ll settle for the long arm of karma smiting some exquisitely scented, thieving baggage handler somewhere between National and O’Hare airports. Beginner niche fragrance and classic perfume sampler set. Thanks for the generous draw! Oh, this and that Hermes. Yum!! May I join the waiting list for Misia? I have been wanting to try the Chanel Les Exclusifs line, so it would be something from that. Definitely some Bois de Iles in the parfum contentration. Il like the EDT, but I hear the parfum is smoother and beautiful! Hermès Un Jardin Sur Le Nil would be my first choice. So many things… I’ve been wanting to try Jo Malone Wood Sage & Sea Salt, but on the other hand I’m longing for hay scents and fire/burnt wood scents at the moment too… Or maybe Sonoma Scent Studio Winter Woods (even if I want to think about spring rather than winter right now). Probably a bunch of Ormonde Jayne. Today I’m having a torrid love affair with OJ Woman. What a generous draw! I think I would like to try something from Frederic Malle. Thank you! Oooh such an awesome giveaway! I think I would love to sample CB I Hate Perfume Black March absolute. Thank you! My first sample would be Aomassai. Thanks for the wonderful chance! Hope I’m not too late! My first choice of things to sample would be By Kilian Imperial Tea or Intoxicated. Thanks for the drawing!